Over the past few years researchers have become more aware of the power of beetroot. Although it’s probably not the tastiest member of the vegetable family, it may well turn out to be one of the healthiest. For those who really can’t stomach the taste of this vegetable you’ll be glad to know that raw beets can work really well for juicing. When they are mixed with fresh apples, Carrots and other greens, then finally topped off with a freshly squeezed lemon, then can make a very tasty and healthy juice. It’s important to note that beets will lose alot of their nutrients if they are cooked for over 15 minutes. This means delicious beet entree’s such as beet soup with sour cream will not be as healthy as consuming beets in their raw form. However in addition to juicing beets, you can thinly slice them or shed them as a raw topping for salads, which can also be another tasty way to implement them into your diet. It is advised to buy organic beets with the attached plant greens which will give you another added nutritious vegetable which you can juice or steam. 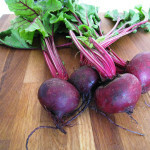 Also note that when separating beets from their plant leaves, it’s ideal to leave an inch or so of the plant attached. This will prevent the beet from bleeding. Once you have done this, peel the outer skin with a good peeler and you can then slice or dice it to fit your food or juice recipe. So why are so beets so healthy? It is now widely known that beets can help increase red blood cell count. The red colour of beets is created by a group of phyotonutrients known as betalains. These are antioxidants, anti-inflammatory, and detoxifying agents that have appeared to be richer in beets than other plant foods. It’s these beet betalains that provide some of the cancer prevention capabilities, most notably in the prevention of colon cancer. Test tube (in vitro) lab experiments have reported positive results of the power of beet betalain in the suppression of human cancer cells. Chronic diseases and cardiovascular health may also be improved by the anti-inflammatory aspects of betalains. Recent and early research have so far indicated betalains are able to support nerve and eye tissue more successfully than other anti-oxidants. Results have also shown that betalians are able to provide a more varied and larger antioxidant value than the majority of other vegetables containing the same beta-carotene. Also in addition to its high betalain phytonutrient content, beets contain a high level of vitamin C, manganese, magnesium, folate and potassium. 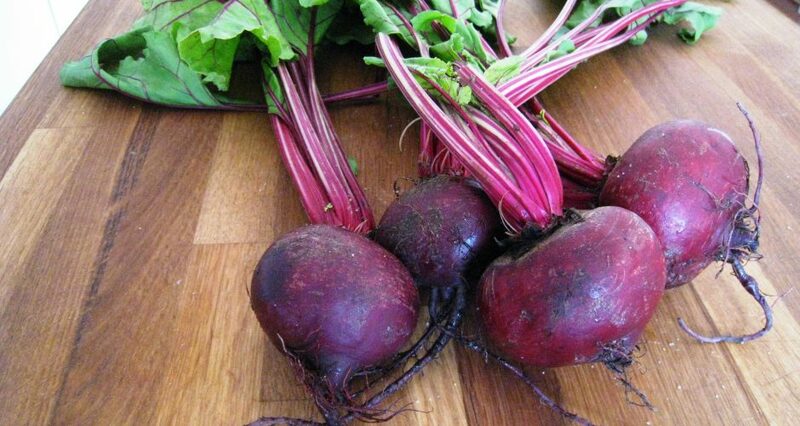 Beets can also support gastrointestinal health due to the level of fibre they contain. Beets are also a powerful detoxifier, some of the enzymes in beet betalains stimulate gluthathoince production and join toxins and glutathione molecules, toxins are then neutralized and excreted from the body harmlessly. It is a common occurrence that pink or red water may surround the stool after consuming beets , however if one is finding their urine to be pink or red coloured after consuming beets (beeturia) then this could be a rare indicator of a low iron metabolism capacity. A doctor who specializes in Ayurvedic medicine stated that using the red stool created by beets can be a useful indicator into the condition of the digestive cycle. Dr John Douillard DC, states that if red stools occur less than 12 hours after consuming beets, then there is a possibility that your digestive cycle is too short and may not be absorbing enough nutrients from the vegetable. Please feel free to share this article with your friends so we can spread the word about this nutritious super food. Also Look out for Cancer Shops brand new Beet Juice Product.